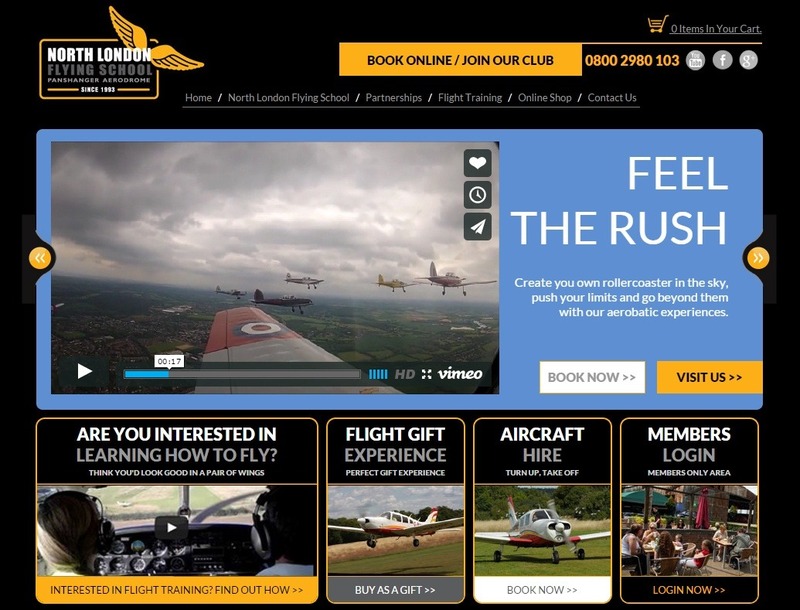 We’re absolutely delighted with North London Flying School’s website. The school came to us for a new site, booking system, and help with their social media to reach out to people who are interested in a flying experience or even gaining a pilot license. The new, clean design makes it easy for people to find and book the flight experience that they’d like, while strong branding ensures that the site and school are memorable. But we don’t just focus on design – our team works on page architecture, meta data and other on-site markers to ensure that each site has an excellent foundation for SEO. North London Flying School is an excellent example of that approach – as well as increasing conversions, the site ranks at #1 on Google for almost every single keyword phrase including ‘flying school’, ‘flying lessons London’, and ‘flying courses in the UK’. The site has been so successful that the flying school is now expanding and considering a new business model, with other flying schools working under their franchise to expand the brand and set up additional schools throughout the UK.